Money Q&A: Should I give cash instead of vouchers this Christmas? 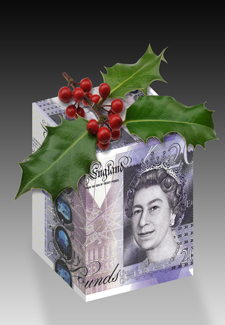 UK Sterling money gift box wrapped up with GBP 20 twenty pound notes with Christmas holly on top. Q: I’ve heard that a couple of big-name shops have been tricky about recognising gift vouchers as they’ve run into financial difficulty. Should I give cash instead of vouchers as Christmas gifts? A: As a general rule I would advise against buying gift vouchers as presents in this current financial climate. Two weeks ago Comet became the latest high street store to go into administration and at first it was annouced that their gift vouchers and cards would be ‘suspended temporarily’. That is no longer the case. Comet is just the last in a long line of well-known retailers to run into serious financial problems this year. Big names such as JJB Sports, Clinton Cards and Allders have followed the likes of Habitat, Woolworths and Jane Norman and gone under. One of the really unfair results of these closures is that the administrators are legally allowed to change the rules surrounding gift vouchers and cards, even if the shops are still trading. In most cases the shops won’t honour gift vouchers or refund them and people holding them are basically left with nothing. If you really don’t want to give friends and family cash this Christmas, then choose where you are buying gift vouchers with caution. Always research the company whose gift voucher you are buying to check if there have been any recent reports of them refinancing their debts or drops in profits. If there is even the merest sniff of a problem, I would avoid buying the vouchers entirely. If you do go ahead and buy, and the vouchers are for over £100, it’s advisable to purchase them with a credit card and then immediately pay off the balance. Under Section 75 of the Consumer Credit Act, you could claim a refund from your credit card company if the voucher-issuing bsuiness goes bust. But the safest bet is just to give cash. It’ll be a welcome gift this year, I have no doubt!